Dina, a photo by Jules Images on Flickr. This is an image taken of young Dina, in a park nearby my studio, in late afternoon/early evening light. 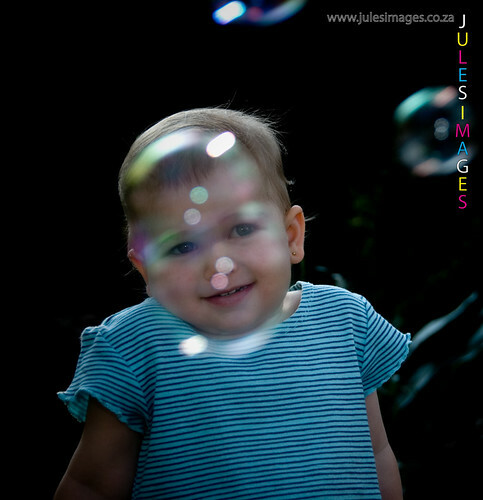 While Dina's father was blowing the bubbles I positioned myself between the bubbles and the subject thereby "framing" her face in the bubble. This is the result.I was using a Nikon D80 DSLR camera and an 18-200mm Nikkor Zoom lens with the setting sun behind Dina and using a fill in flash to light up her face.